This year will mark the 37th season of racing at this historic facility which had its beginnings as a dream on the part of 15 racing professionals and area businessmen. It is now the site of three world-famous race courses -- a 4,400-foot drag strip, a .686-mile oval and a 15-turn, 2.5-mile road course -- all of which are paved with asphalt. 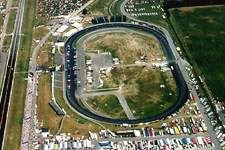 O'Reilly Raceway Park at Indianapolis was host to the first-ever NASCAR race in Indianapolis in 1982, and has been a part of the NASCAR Busch Series Grand National Division schedule every year in series history. The Kroger NASCAR 200 is one of only two races on the series schedule that have had the same sponsor for all 15 seasons. The race is now held on the night before the Brickyard 400 at nearby Indianapolis Motor Speedway. Also included in that jam-packed weekend of racing is a NASCAR Craftsman Truck Series event. With three series competing on two tracks in one city, it should be quite a weekend in Indianapolis. The facility has been owned and operated by the National Hot Rod Association since 1979.